Whole Numbers includes lessons on place value, number sense and number properties. It also includes lessons on adding, subtracting, multiplying and dividing whole numbers. Fractions & Decimals includes lessons on fractions, decimals and rates and unit rates. Measuring includes measuring time by clock and by calendar, money measurements and standard units of measure. Geometry lessons include both plane and analytic (coordinate) geometry with lessons on perimeter, area, circles, polygons and transformations. Primers cover the basics of place value, addition & subtraction, multiplication & division, fractions, and how to do word problems. These lessons can also be accessed from the other sections. These lessons best viewed with Internet Explorer, Text size on the View Menu set at Larger. 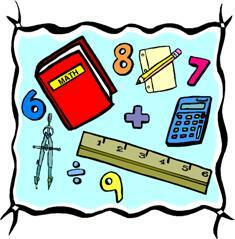 For help using these lessons, consult the MathRoom Method in the visitor's section of the site.